Unsure about your ideal career path? Seeking greater career fulfillment and satisfaction or better work-life balance? In a new and challenging role at work? Experiencing conflict with co-workers or your boss? Or your son or daughter) transitioning from high school to college or college to career? Leap Forward Coaching is a process that is designed to help guide and support career choice, transition and success. Learning to navigate these career transitions and challenges is essential to your success and satisfaction. Leap Forward Coaching will help you look at your situation and career path with greater clarity and resolve. Working with an experienced coach and a proven process, you will formulate a personal road map with clear objectives aligned with your career and life goals. Your coach will support and guide you to keep you on track and ensure a positive outcome. Contact Leap Forward Coaching to discuss how this powerful career coaching process can change your career and life for the better. Clarify – What career success is for you. Identify – What you desire in a job or career, what challenges and opportunities you seek and what contribution you wish to make. Envision – How your situation would be if you were operating from “purpose” in every aspect of your career. Choose – Make positive decisions to move you toward achieving your career aspirations and success. Focus – On those goals that are achievable in the mid-term and what immediate steps are needed. Commit – To your plan. 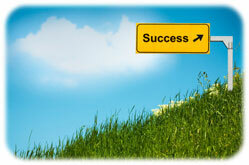 Act – Make the changes to attain the job you want and create the career of your dreams. You or your son or daughter is facing a big transition from high school to college and a future career. How prepared and confident are you or your graduate to make the all-important decisions on which college to attend and what field(s) to study? Many college-bound students report feeling uncertain, confused or pressured about their choices. Guidance counselors may not have been able to devote the individual time to helping your student. Parents struggle with how to be supportive as their child approaches adulthood. Learn how Leap Forward Coaching can help guide you through successful transition from High School to College. Graduation from college is a significant accomplishment however it is no longer the ticket to career success that it once was. For students and their parents, graduation is both exciting and scary as they contemplate–What’s NEXT? If you or your student was one of the lucky few hired by on-campus recruiters or who otherwise landed in a solid job—Congratulations! Many of us will spend the next several months anxiously worrying about our or our son/daughter’s future and wishing we could help. It is frustrating to realize that a college education is not always adequate preparation for finding a job in this highly competitive environment. Learn how Leap Forward Coaching can help guide you through successful College to Career transition. Have you been asked to change roles or been recently “downsized”? Are you experiencing “burn out,” feeling unengaged with your work and/or in need of a new career? Are you seeking greater career fulfillment and satisfaction or simply unsure about your best career path? Career coaching services can be invaluable to individuals navigating today’s job market, particularly those who are in career transition or just completing their education. 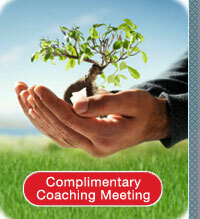 Learn how Leap Forward Coaching can help guide you through successful Career Transitions. Contact Leap Forward Coaching to discuss how this powerful career coaching process can positively impact your career choices and pursuits.